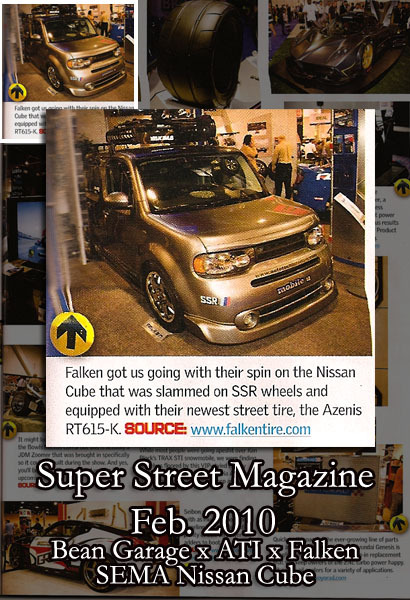 We had the great opportunity to be a sponsor for the Auto Tech Interiors x Falken Nissan Cube at SEMA 2009. Dubbed the "Mobile U", the mission was to build an edgy, new car that represents a young, active lifestyle. 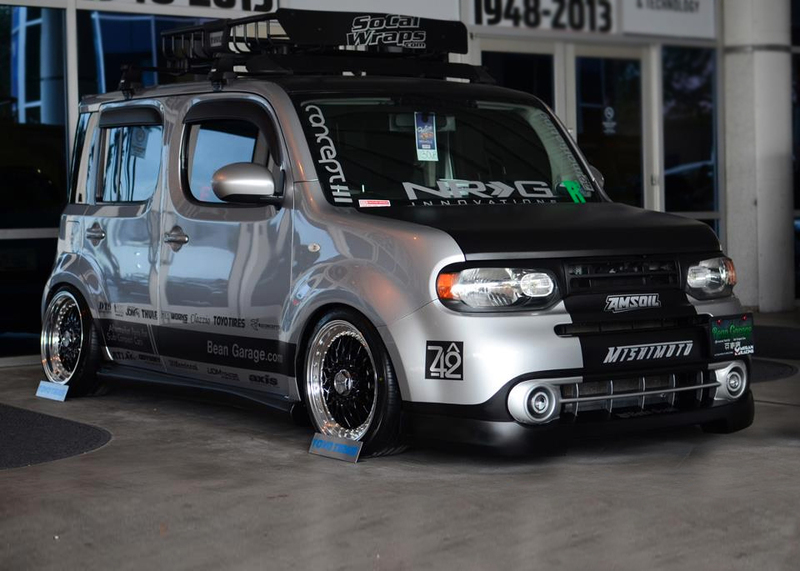 The Nissan Cube fit the bill perfectly with its unique design and functionality. 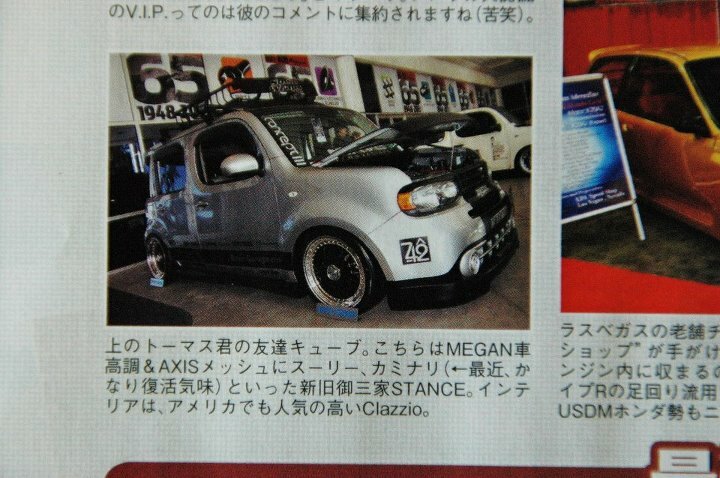 Rocking a roof rack, low stance with Tein coilovers, flush SSR SP1R wheels, and many other mods, the Cube looked the part of a streetable JDM-styled cruiser. 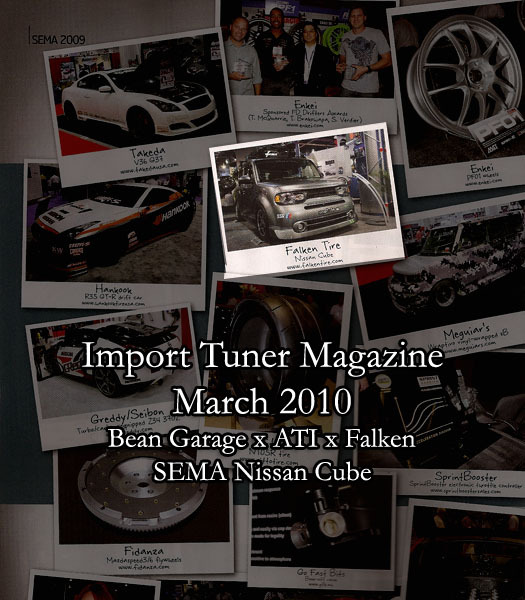 Located in the high-traffic Falken Tires booth, it had a lot of exposure. 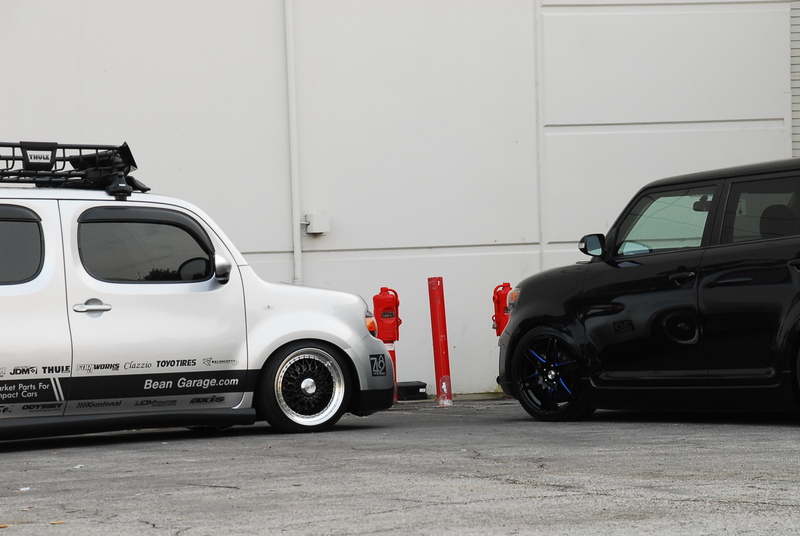 You can view the build-up of this car prior to the SEMA show on our blog here. 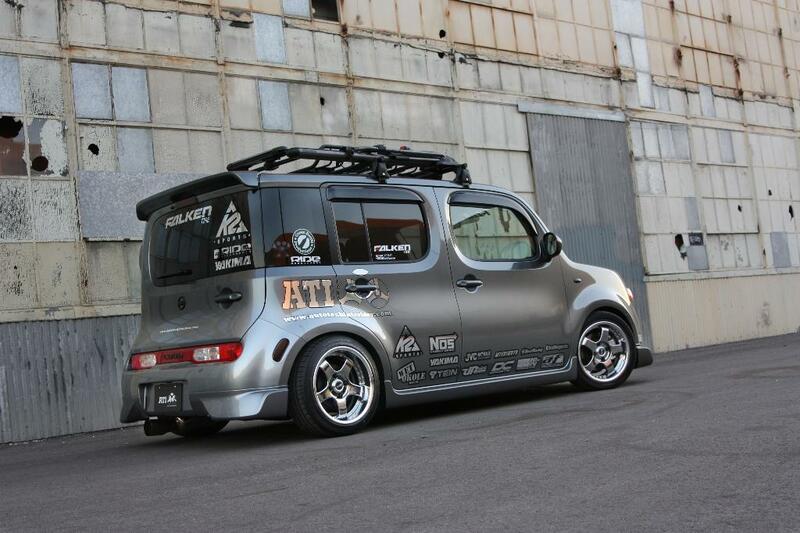 2011/2012 Nissan Cube - Our first project that made it to SEMA! Read more about our project including the sponsors. Press Release regarding this project.